The 5km is a 1 lap course, about 100m over the official 5,000m distance so is not a certified course. It has just 31m of elevation change which means it is still a super fast course. The 10km is officially certified accurate, course number 18/189. It has a turn around point in the start/finish field, shy of the finish line itself and has just over 60m of height change. The Half Marathon route is a 3 lap route. The core part of the route is the same as the 5km/10km loop. 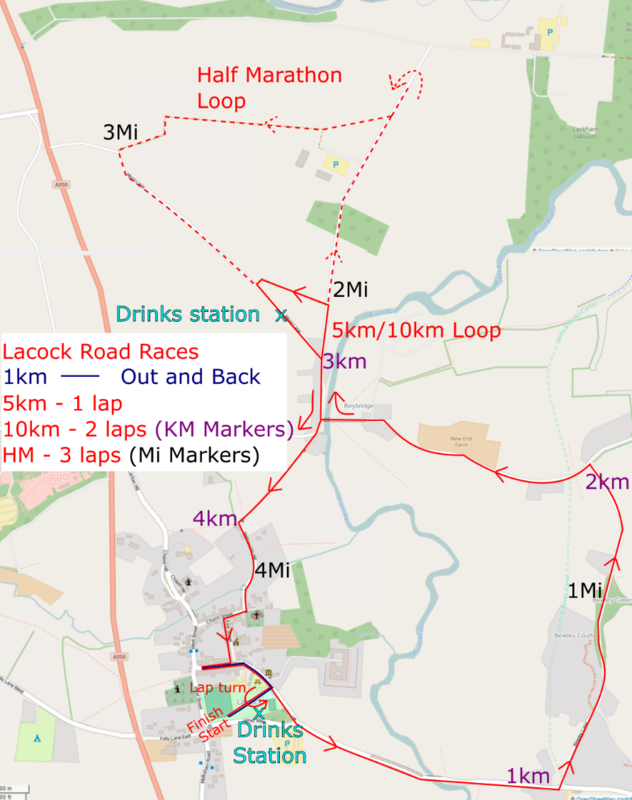 Mid way round, the Half Marathon branches off to complete an extended loop of the Lackham College campus, including a short out and back at the far end to get this route up to distance. It is an officially certified course, number 18/288 and has less than 100m elevation change.